Bonds, for most investors, are just a secondary issue. Bonds work well for income seekers, and, in the hands of an smart speculator. Bonds have and possibly will beat the stock market for long periods of time.Is a better way to get gain value from your bond investment? We believe so, bonds help in keeping a stock portfolio become more predicable with less volatility often to help head in the right direction tough times. Please review the Bond Credit Ratings. More of this Bond article is below the many photos. Photo Below: Bank Of England. Fixed-income should question what’s is the right ratio of bonds to stocks? Michael Holland, manager of the Holland Balanced Fund, strongly advocates a 60/40 ratio of stocks to bond for most investors. Mr Holland contends that with this ration investors can generally gain 80% of the stock market’s long-run return, but with 40% ration of bonds helps provide a moderate level of volatility along the way. The minimum-risk bond ration allocation is probably 80% fixed-income, 20% stock, according to Alan Gayle, senior investment strategist for Trusco Capital Management. he takes the view that a 100% bond allocation is a poor idea for even the most risk-averse investor, because bonds can suffer lengthy bear markets in their own right. Your asset-allocation goal is important and you should always review splitting up the bond portion of your portfolio between the different classes of bonds. One way to totally provide stability of principal is to buy individual bonds at issue and hold them to maturity. Photo Below: United States Federal Reserve Bank. Bond investors, thank you for entering our website Investment-Income.net. We our working endlessly, to provide you with the premier Fixed Income services. Our goal is to offer the Best Bond Rates in combined with our One-Call / One-Click Service, we’re here to provide you with real personal and professional help when you need it. When combining our personal attention, with the many outstanding conveniences, we’re helping you, the Income investor, achieve the real savings in time, effort, and money that you desire. Our web services also includes Money Market Rates, Government Paper and we strongly recommended that you review our Latest News when you’re ready, because these secondary income investments offerings often go very fast. 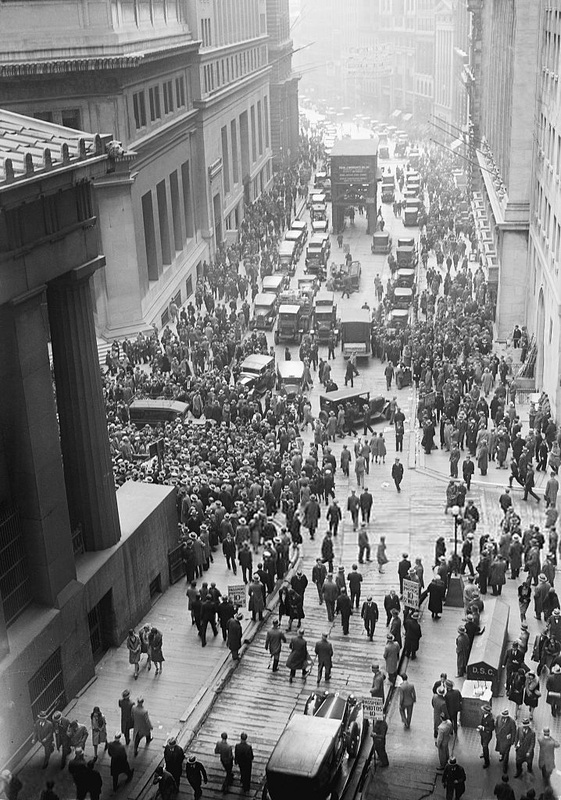 Photo Below: Wall Street – 1929. The coupon rate is the interest the bond is issued with. If, for example, the nominal interest rate is 5% on a bond with a nominal value of $1,000, you will receive $50 in interest every year. The nominal interest rate of a bond will stay the same until the bond is due. The maturity date of a bond is the date the bond is completely repaid. Most bonds are issued for a number of years so the due date could be many years into the future. The length of time until the maturity date can be referred to as the term of the bond. The bond issuer is the entity who needs to borrow money and therefore has issued the bond. It can be any of various different organizations, but is most likely either a government agency or a company. Government bonds are usually safer than company bonds as there is very little risk of the issuer defaulting on the bond. The par value, or nominal value, of a bond is the amount of money the issuer of the bond is borrowing from the purchaser of the bond. Each bond is often issued for $1,000 in the United States. The issue price is the price you pay for the bond at the time it issued. It could be different from the par value of the bond and would most often be below the par value. The market value is related to the par value, but is very likely different from it. Many bonds are traded on an exchange at a different price than when the bond was issued. This is the price at which the bond market trades the bond currently. If the bond value is less than the par value, the current yield will be higher than the coupon rate. The market value of the $1,000 bond might be trading at only $950. The current yield is the interest you receive from owning the bond, calculated as a percentage. If the current interest rate level is different from when the bond was issued, the effective interest rate will be different too. The only time the coupon interest rate is equal to the current yield is when the market value is exactly equal to the par value. Then the bond is said to be traded at par value. In the example, the effective interest rate might be 5.5%.At Income-Investment.net we want to thank you for the honor and privilege to help you find Bond information.If you have any questions, or would like to know more about our many services, please remember we are just One-Call or One-Click away. Again, Bond Investors thank you and we hope you enjoy our overall service! Hi, good post. I have been wondering about how to find bonds,so thanks for posting. I’ll definitely be coming back to your site.